"Working for the best interest of students, staff and faculty since 1969." 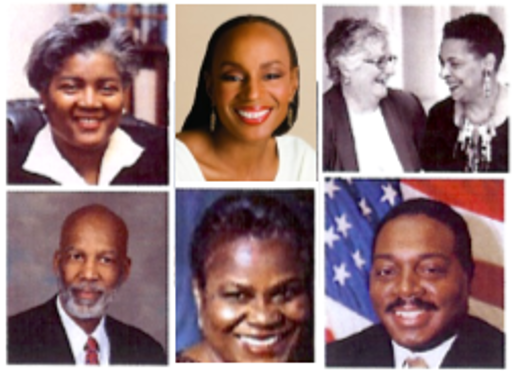 The Cuyahoga Community College Black Caucus was founded by a group of concerned Black American faculty members in 1969. Today, the organization has expanded its services to include faculty, staff, students and community. Because of our growth and our focus on student success and completion, we have formally changed our name to the Black American Council. Our mission is to provide programs to support student retention and academic success. Tri-C's Black American Council is concerned about all students at the College, but in particular the success of Black American students. The Black American Council will provide comprehensive programs for our students through community outreach and involvement, career development opportunities, workshops and forums, and cultural awareness through activities and field trips. Through our mentoring program we link students, faculty and staff in relationships that encourage student excellence and provide support in times of need. We also continue to support our Black faculty and staff in their growth and development. Frances M. Franklin Scholarship Program- The Black American Council oversees the awarding of student scholarships through the Frances M. Franklin Scholarship Fund. The scholarship honors the memory of Frances Mason Franklin, a Cleveland educator and former Tri-C faculty member. Every spring, the Council hosts the Frances M. Franklin Scholarship Luncheon where scholarships of various amounts are awarded. Contributions to the Frances M. Franklin Scholarship Fund can be made through the Tri-C Foundation. Proceeds from these donations support the education of deserving Tri-C students. Protégé Mentoring Program- The protégé mentoring program was established to encourage academic progress, emotional support, motivation and inspiration to Tri-C students. Each student who participates is paired with a Tri-C staff, faculty or administrator who serves as a mentor and resource person throughout the student's academic endeavors. Become a BAC Mentee today and apply online! Are you a Tri-C staff, faculty or administrator who would like to be a mentor? Please contact the BAC office for membership and mentoring applications. Minority Male Leadership Academy- The Minority Male Leadership Academy (MMLA) program was developed to positively impact retention and increase graduation rates of men of color through the development of leadership qualities. Black Scholars Academy- The Black Scholars Academy (BSA) program was developed for first year male mentees to achieve academic success and completion by utilizing college resources, attending workshops and exploring career options. CHOICES- The CHOICES program was created to explore resources of stability, accountability and sustainability for women, by way of mentoring, encouraging and investigating educational opportunities to aid women as they move forward in their personal growth and their professional endeavors. Minority Women's Leadership Initiative- The Minority Women's Leadership Initiative (MWLI) program was created to uplift and encourage minority female students, by supporting academic, career, and personal success. This program promotes holistic self-awareness that will develop professional expertise, civic responsibility and engagement, and the ability to balance college life with the obligations unique to the female population. MWLI supports student matriculation, graduation and successful transfer. Online Discussion Group - Sign up for this class online. In order to enhance diversity awareness of the students and the College in general, the Black American Council has partnered with other College departments to bring in notable speakers. Students have had the opportunity to meet and hear Terry Edmonds, former presidential speechwriter for President Bill Clinton; Shay Banks-Young & Julia Jefferson, descendants of President Thomas Jefferson and Sally Hemmings; Dr. Terrance Roberts, one of the Little Rock Nine; Susan Taylor, Editor-in-Chief Emeritus of Essence Magazine. In recent years, our students have had the opportunity to hear keynote speaker, Dr. Steve Perry, best-selling author, founder and principal of one of the top schools in the country, Capital Preparatory Magnet School in Hartford, Connecticut; Judge Michael Ryan from Cleveland, Ohio and Lori Stokes, daughter of Louis Stokes, anchor of New York’s WABC-TV Eyewitness News This Morning and Eyewitness News at Noon. We have also worked closely with the Cleveland Public School District. National partnerships have been formed with National CARES Mentoring Movement and the NCBAA (National Council on Black American Affairs). Lemuel E. Stewart III, MSSA, Psy.D.